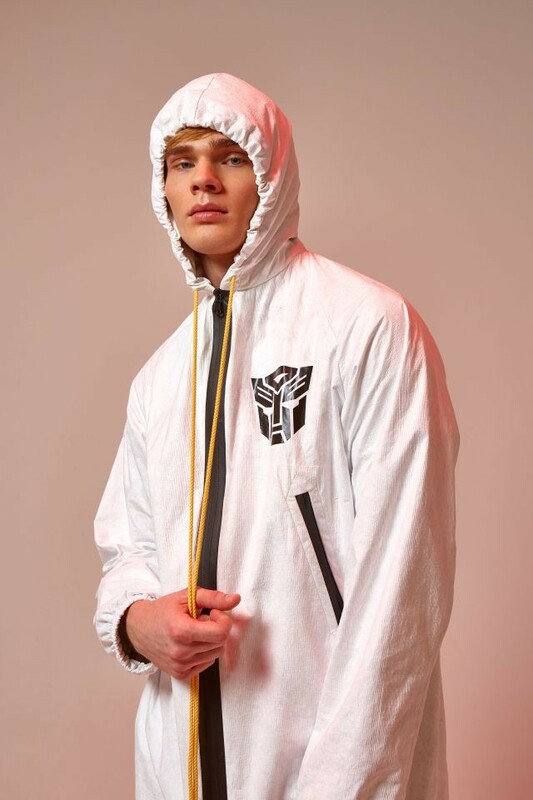 Alpha Industries has finally opened pre-orders for the new, officially licensed, limited edition, MA-1 style, Transformers jacket. 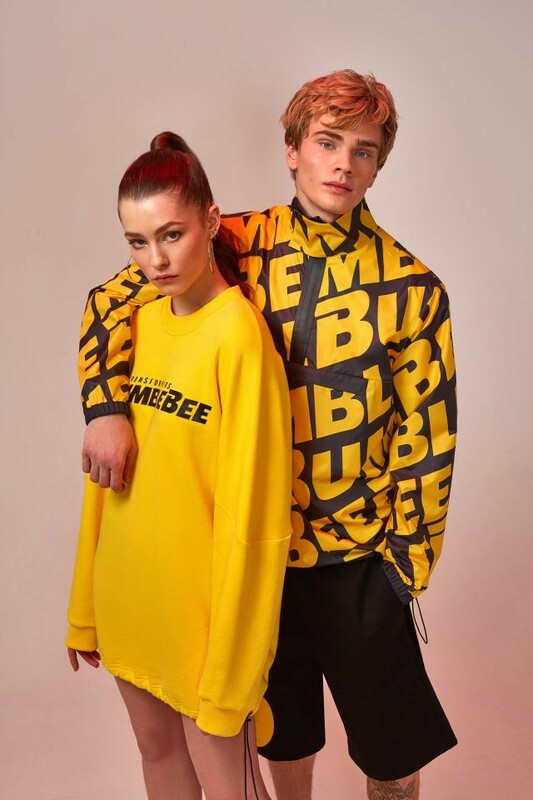 The Jacket is reversible so you can choose to wear it with the Bumblebee racing stripes style being shown off or you can reverse it for a more Generation One centric look featuring some classic box art. 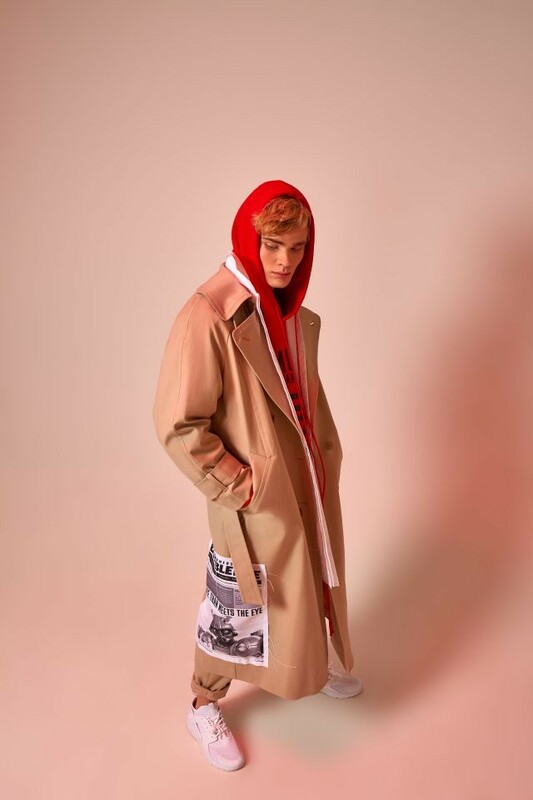 The jacket is set to retail for 250 dollars and comes in sizes ranging from extra-small to extra-large. The jacket looks comfortable, be sure to order one today if it appeals to you! For $250 bucks, they can keep it. That’s exactly why I had to order one. Saw it at SDCC this year and knew I had to have it for my car. It debuted in the first Bayverse film in ‘07, but was only an unavailable concept at that time. They finally rolled off the assembly line in a “limited edition” number in 2010. 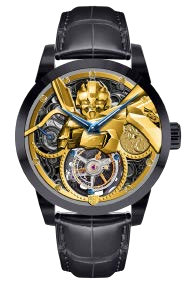 That was the first (but not the last) year that they released a Transformer Edition. Mine has the TF package (about $995 above MSRP) but you can get the regular 2010 LT or SS Edition in Rally Yellow and spend a fraction of the $995 customizing your own Bumblebee. Long story short, I’m really excited about this jacket. 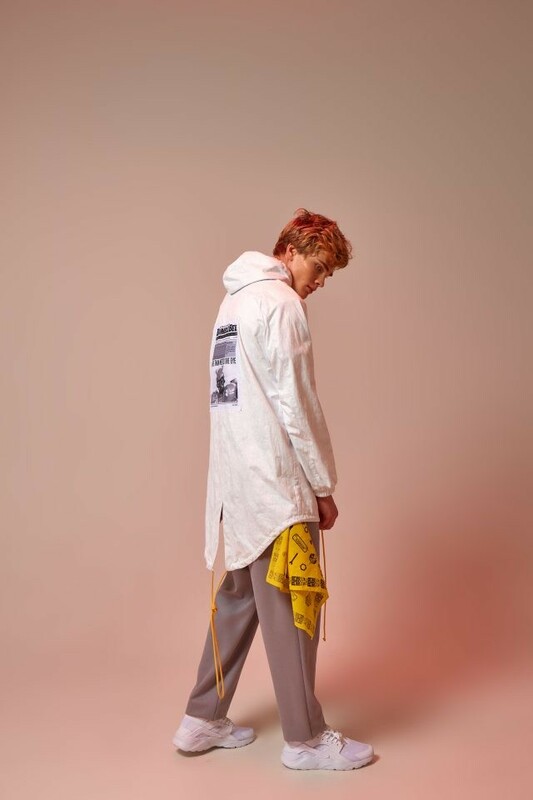 Images of more upcoming stuff, apparently. 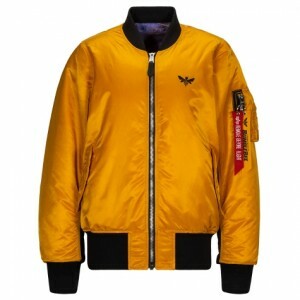 Recently, the new Hasbro X Alpha Transformers MA-1, a bomber jacket designed to flip between a yellow Bumblebee theme or a G1 box art theme, went up pre-order. Well, thanks to seibertron xRotorstormx, we now have in hand images for this beast! Here, we get a closer look at the detail found on the jacket itself. The bomber jacket even has a tag pretending it's from the 1959 (despite it saying 2018 on the copyright)! 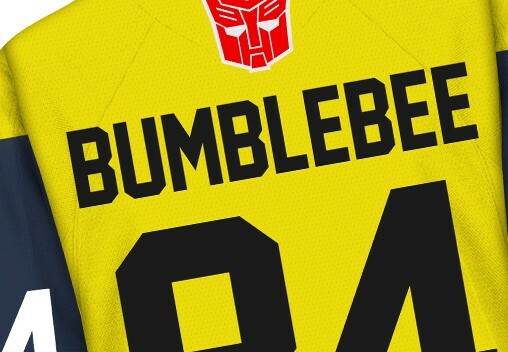 The pictures mostly show the Bumblebee, default side, but you can clearly see on the inside the classical G1 box art printed onto the jacket! 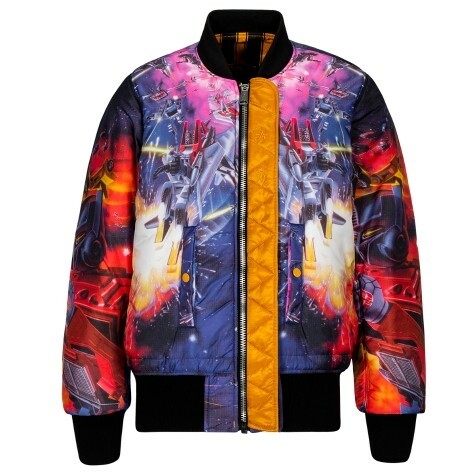 If you want to buy the Hasbro X Alpha Transformers MA-1 bomber jacket, you can order it here for $250 on the Alpha Industries website. notirishman wrote: Recently, the new Hasbro X Alpha Transformers MA-1, a bomber jacket designed to flip between a yellow Bumblebee theme or a G1 box art theme, went up pre-order. Well, thanks to seibertron xRotorstormx, we now have in hand images for this beast! Here, we get a closer look at the detail found on the jacket itself. The bomber jacket even has a tag pretending it's from the 1959 (despite it saying 2018 on the copyright)! The pictures mostly show the Bumblebee, default side, but you can clearly see on the inside the classical G1 box art printed onto the jacket! Awesome!!! Can’t wait. Tracking indicates mine should arrive by Monday. 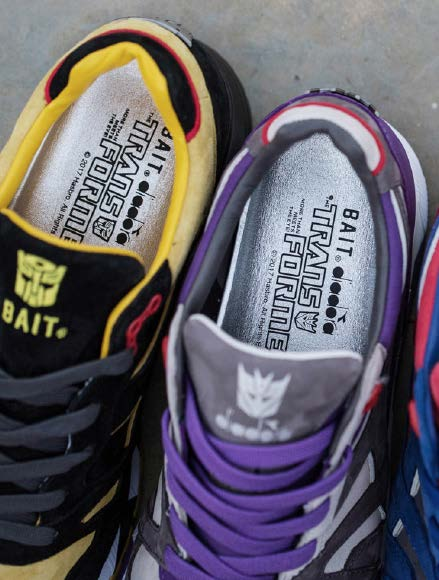 Thanks to Hasbro, we have images of the new RS-X Transformers Pack sneakers! 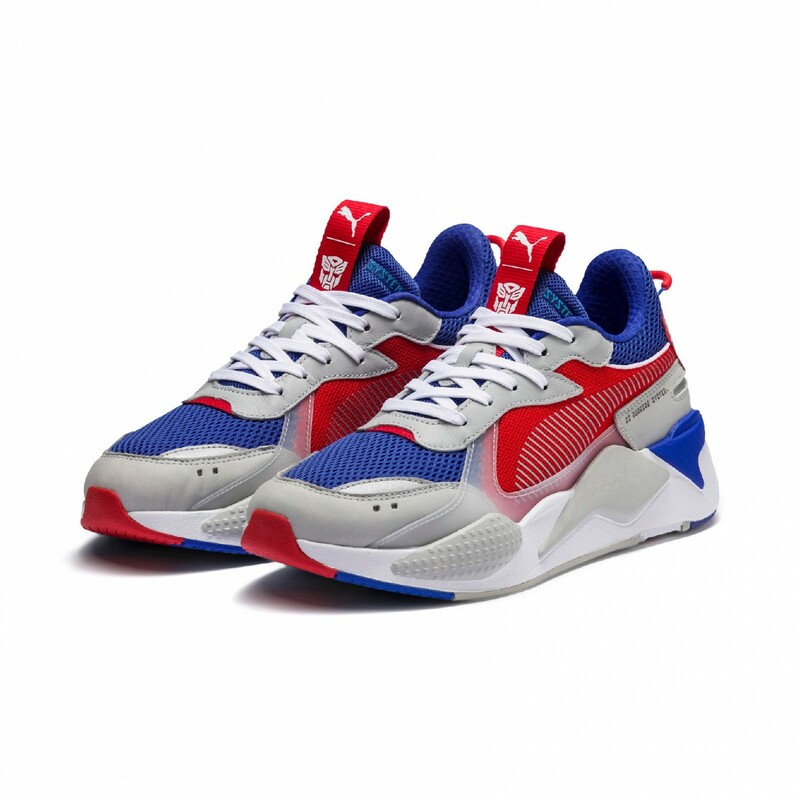 These sneakers are a collaboration between Hasbro and Puma. 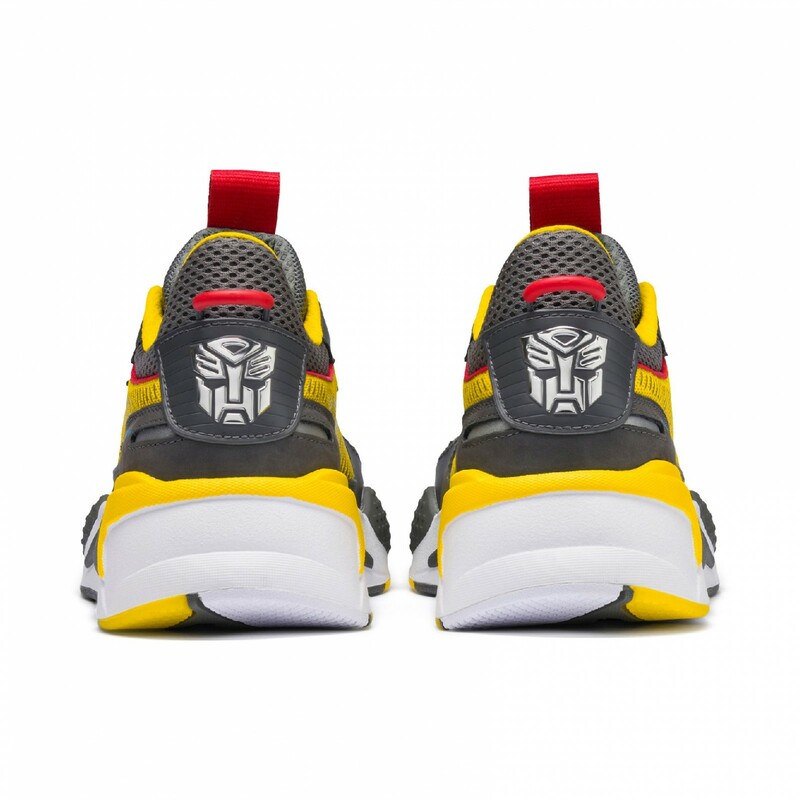 These shoes appear to be colored after Bumblebee and Optimus Prime, most likely for the upcoming Bumblebee movie. 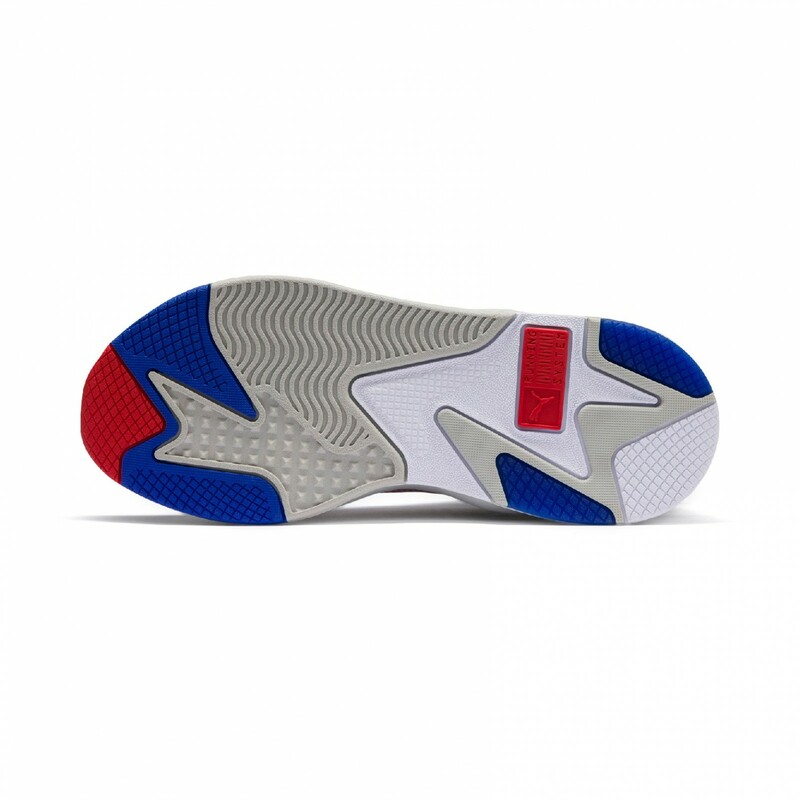 We also have a product description of these new shoes. 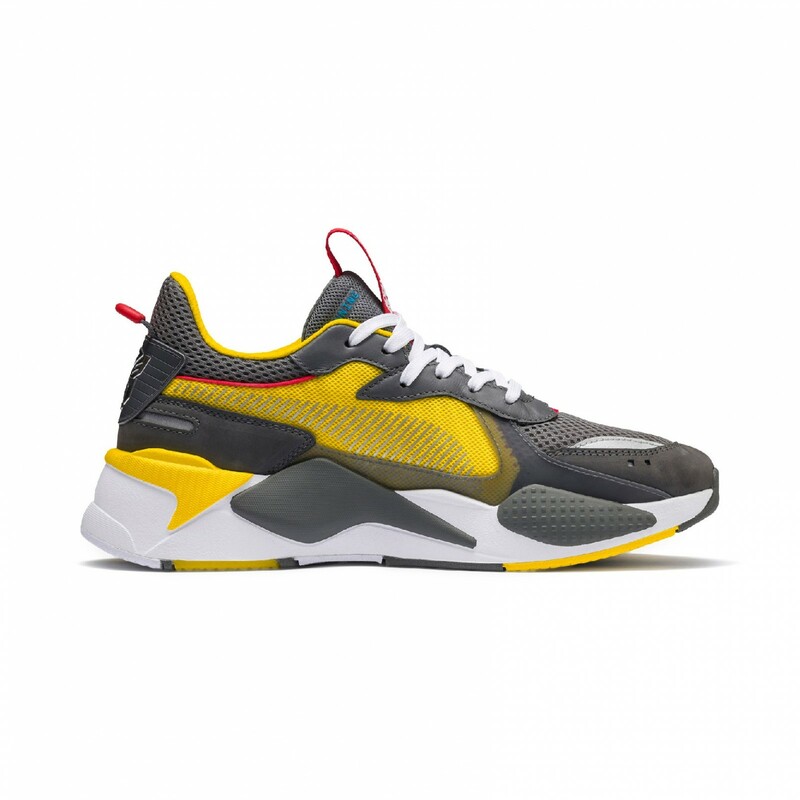 So, planning to impress the guys and ladies with your new shoes? Tell us in the Pub forums below! 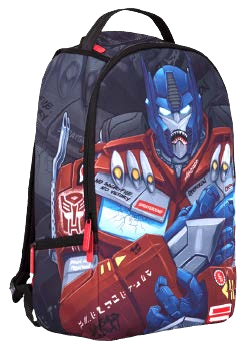 Global sports brand PUMA and Hasbro Inc. officially unveil the exclusive Transformers-themed collection. Since first capturing our sci-fi imagination in 1984, Transformers have transcended generations, becoming a global pop-culture phenomenon. 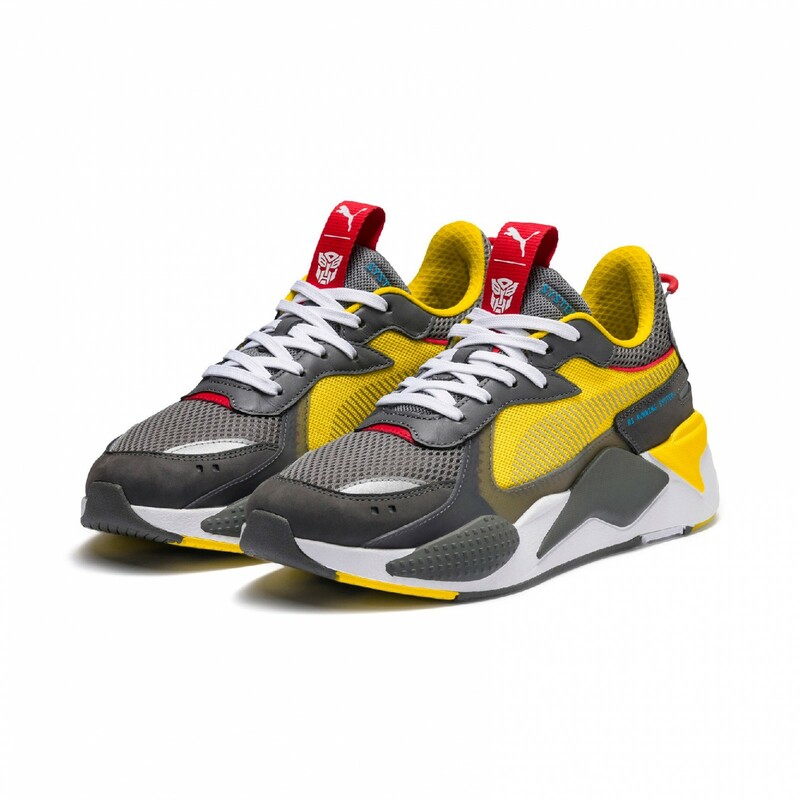 The PUMA x TRANSFORMERS capsule range celebrates the two iconic Autobots, Bumblebee and Optimus Prime, their super powers and remarkable built, reimagined into PUMA’s latest RS-X silhouette. 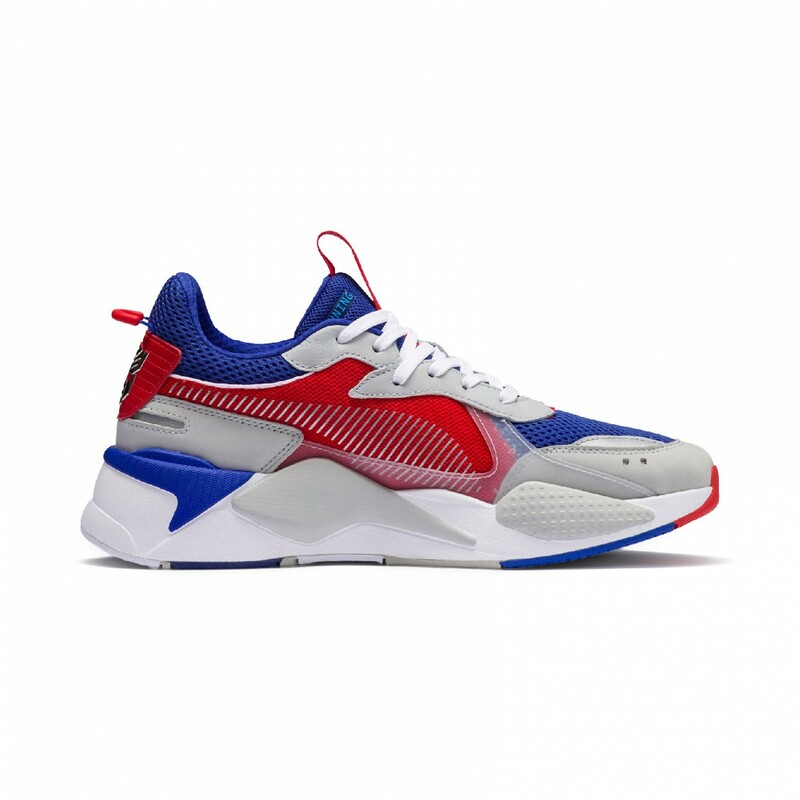 This season, PUMA launches the RS-X sneaker, a reboot of the RS-0 which was built on the classic 80’s Running System (RS) line. 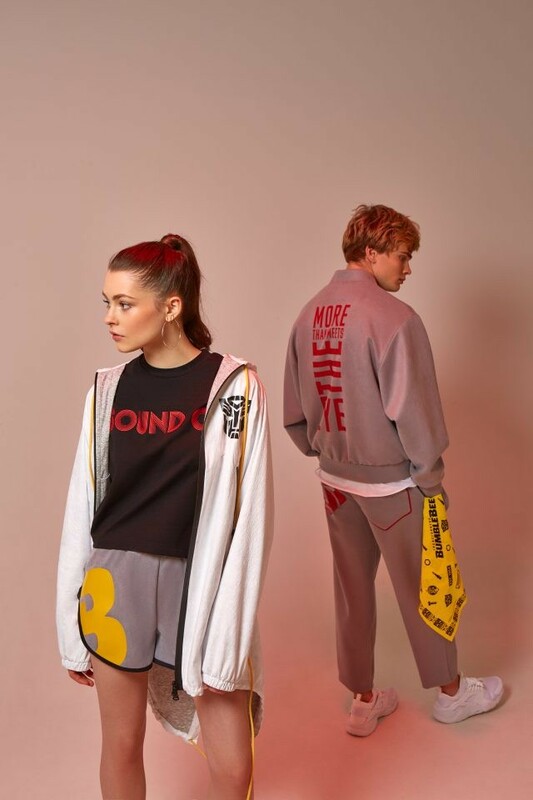 Pushing boundaries in futuristic design with retro vibes, PUMA extends their RS range by partnering with exciting brands that take reinvention to the extreme, from the toy, television, telecommunication and motoring worlds. 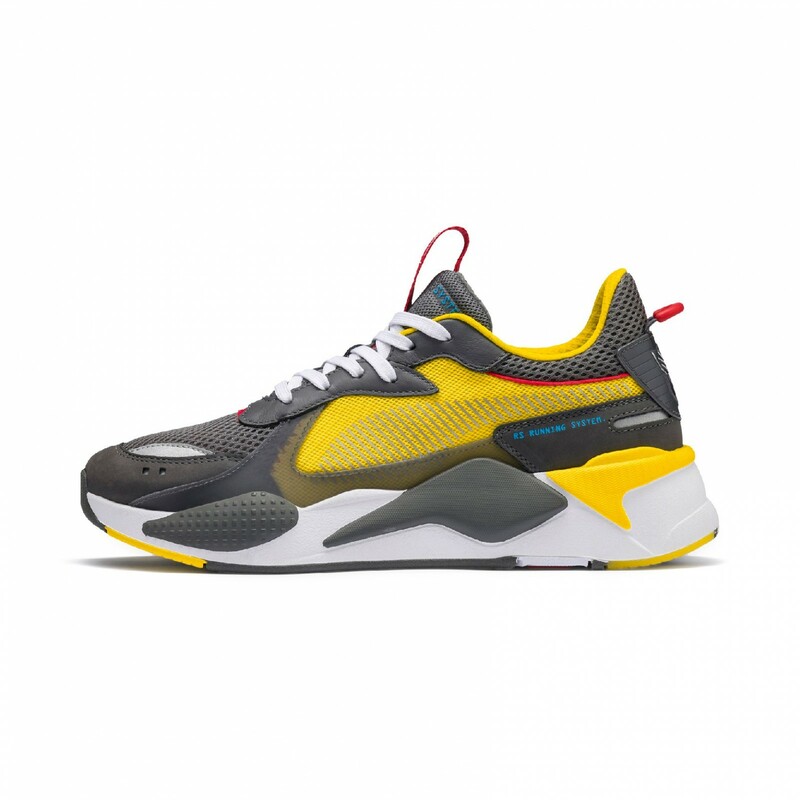 With its bulky design, bold color palette and material mixes, RS-X TRANSFORMERS pushes reinvention further and explores collectibles in and beyond the sneaker culture. 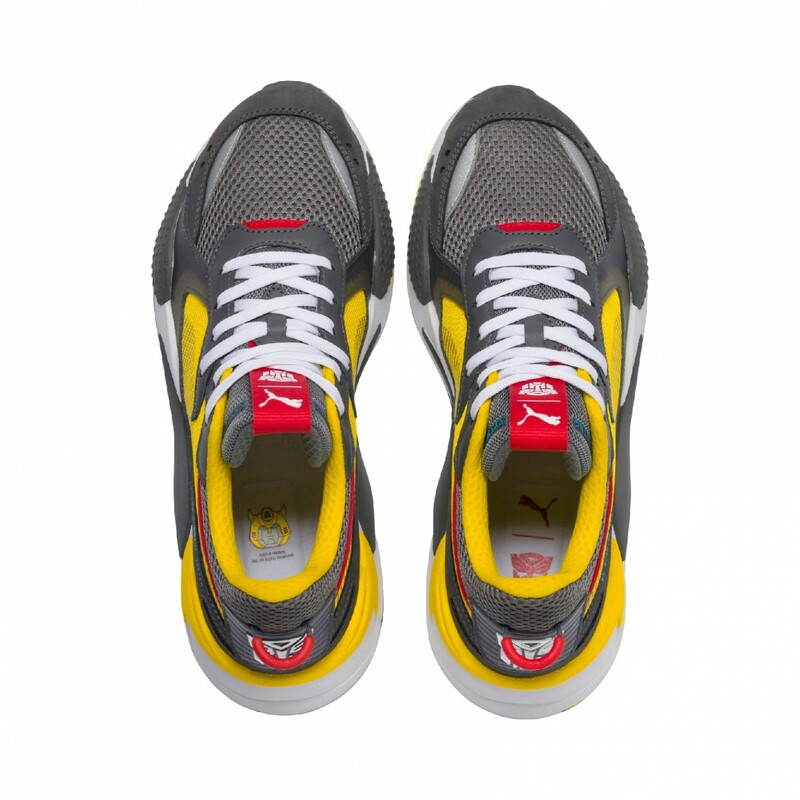 Equipped with PUMA’s patented RS technology on the midsole, the upper is decked with mesh, textile and nubuck overlays. 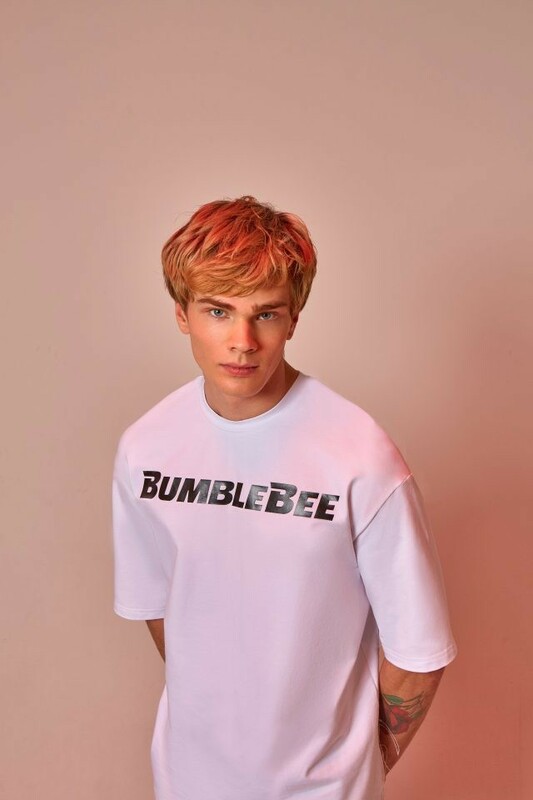 The RS-X Transformers Bumblebee in Quiet Shade – Cyber Yellow and the RS-X Transformers Optimus Prime in Dazzling Blue – High Risk Red are nods to the signature colors of the two protagonists. 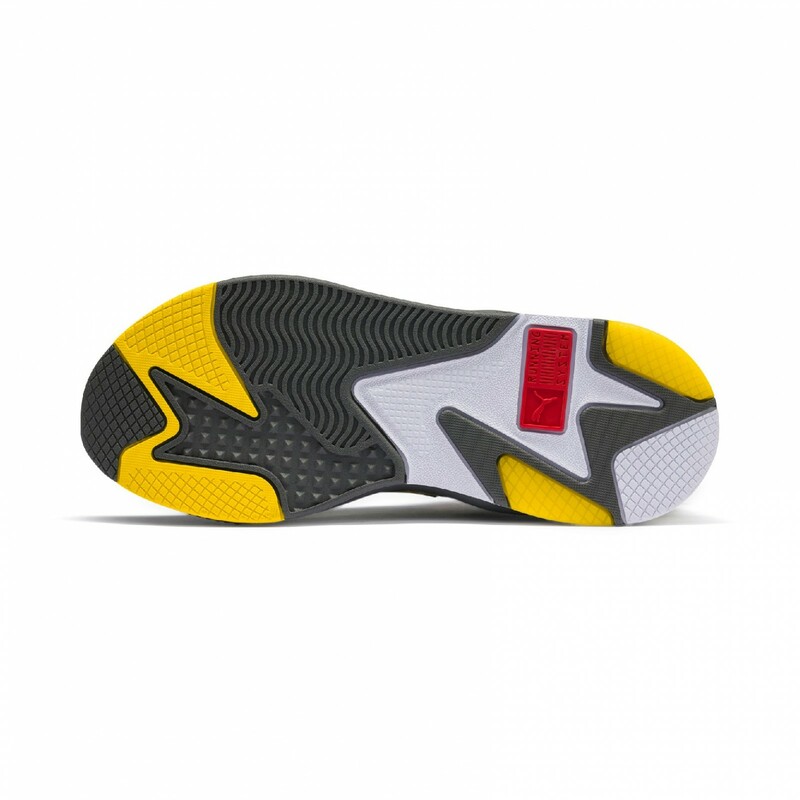 The RS PUMA branding appears on the molded sockliner while the shoe tongue features the collab logo. 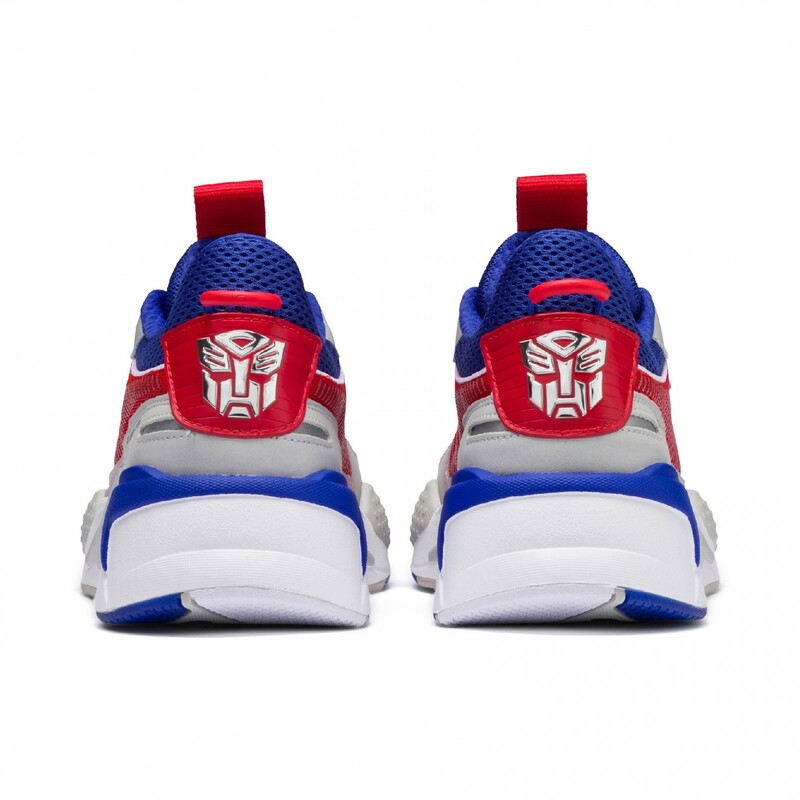 The Transformers Autobot symbol fitted on the heel piece accentuate the style. 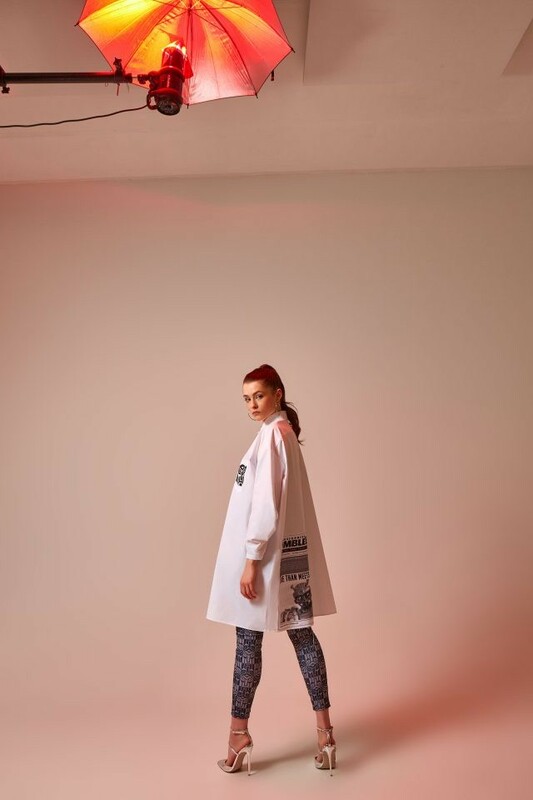 For the ultimate head-to-toe Transformers look, the collection also features apparel and accessories. 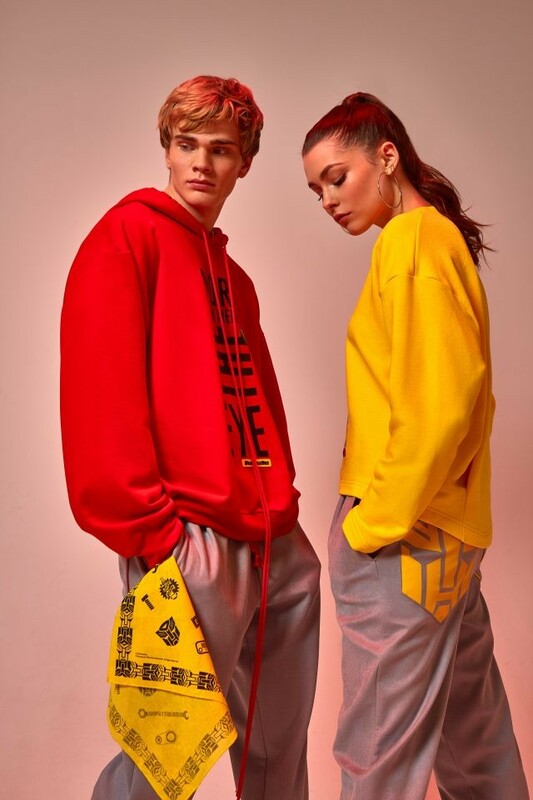 Bumblebee and Optimus Prime’s vivid colors continue to appear on the T7 Track Pant and Track Top while the tees feature various iterations of the PUMA x Transformers graphics and all-over prints. 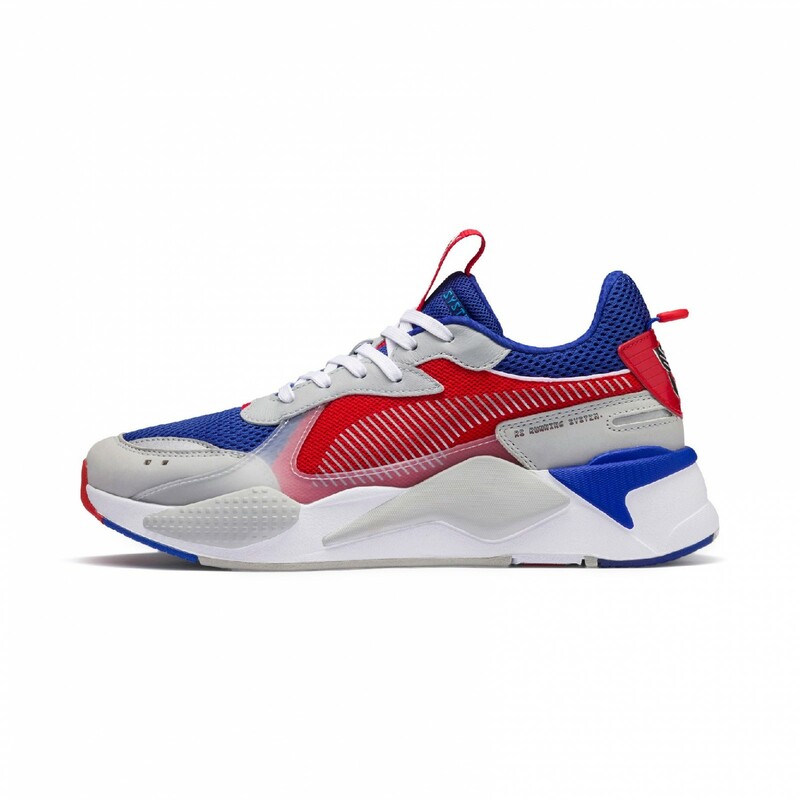 The PUMA x TRANSFORMERS collection for Men and Kid’s drops exclusively at Foot Locker stores and PUMA.com in Europe on November 22nd and mid-December in the U.S. 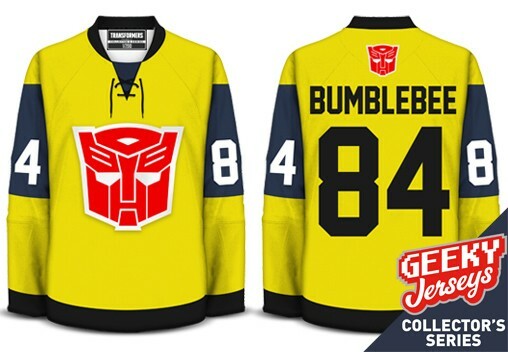 Thanks to Geeky Jerseys, we have word that they are offering a limited edition Bumblebee movie jersey! 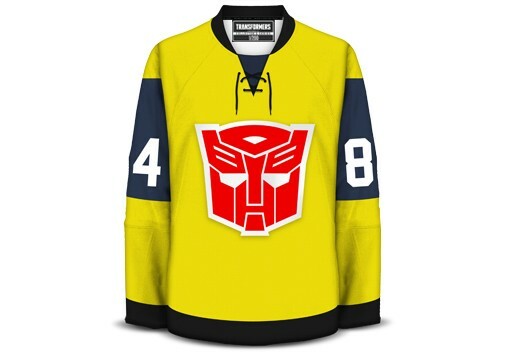 This jersey, which is offered in sizes youth small to 5XL, and includes 3 different goalie sizes as well, features a giant Autobot symbol on the front and the name "Bumblebee" above the number 84 on the back. 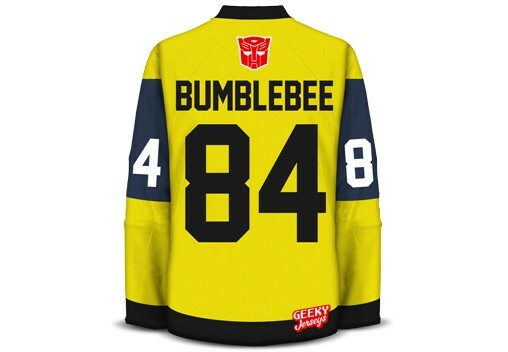 It also has the number 84 on each of its sleeves, and comes in yellow with gray and black trim and highlights. This jersey is advertised as officially licensed, and has been limited to a 200 jersey stock. As of this writing, the XL size has sold out, but the remaining sizes still have jerseys in stock. 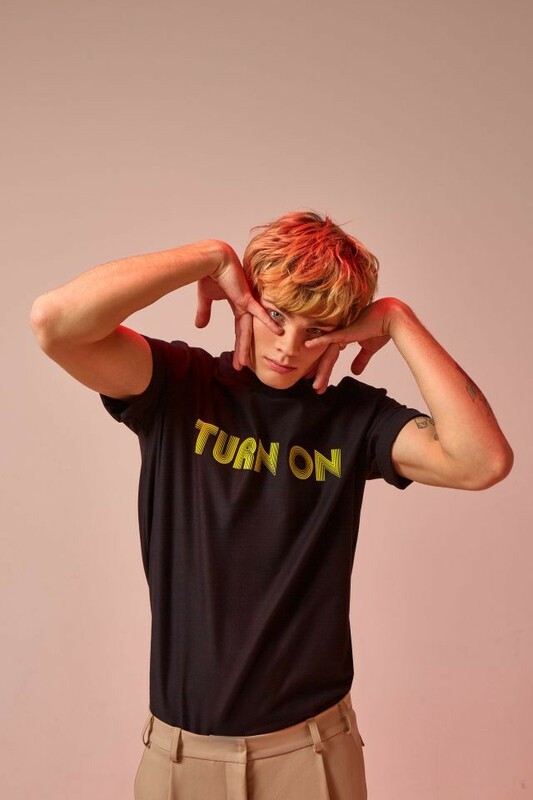 You can check out the jerseys by following the link above, and check out some pictures of them down below! The price for each is $119.99, and is limited, so hurry up and go get yours! 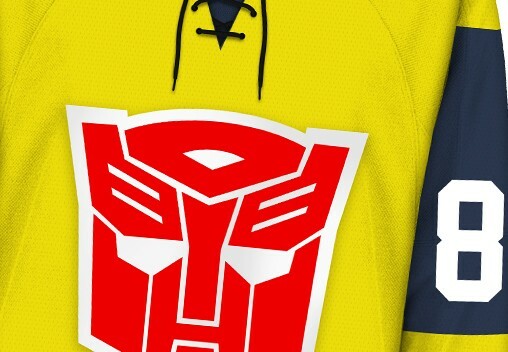 watch some internet troll is going to comment: "well, if you don't like it don't buy it"
Hockey jerseys did not have laces in the 80s. They'd died out in the 1970s as the sweaters had long moved from the old wool or durene construction (which teams added the split collar to for ventilation, and the laces were to keep them from being ripped) to more breathable "air-knit" poly-cotton blends. The laces only came back at the end of the 90s because the New York Rangers decided to go retro, by which time the laces were purely aesthetic (and, quite frankly, an aesthetic choice that I find hideous, but that's just my opinion). Point being, if you want to make an 80s-styled hockey jersey, it should have a V-neck. 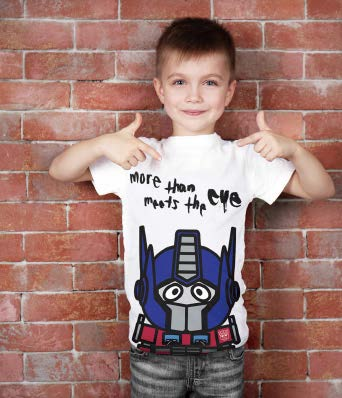 If you're looking for Transformers themed clothing in Eastern Europe, Mother Russia has the mother load. 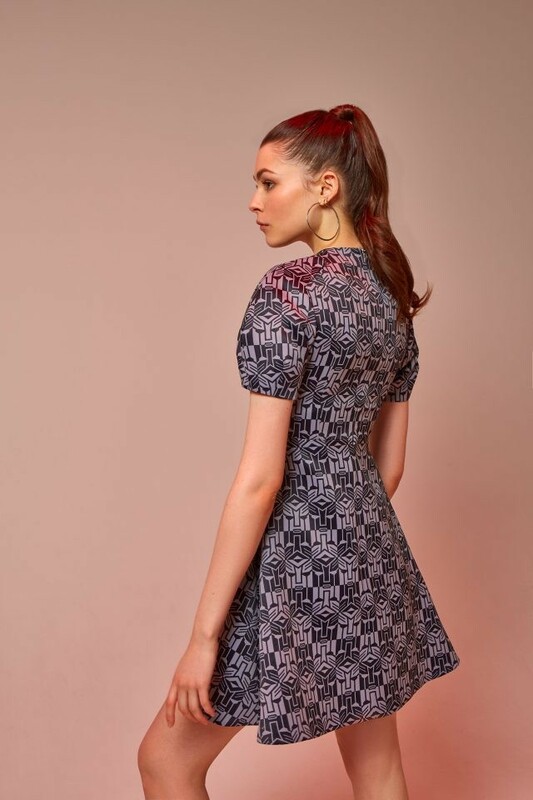 And this isn't your run-of-the-mill assortments of t-shirts and dresses. 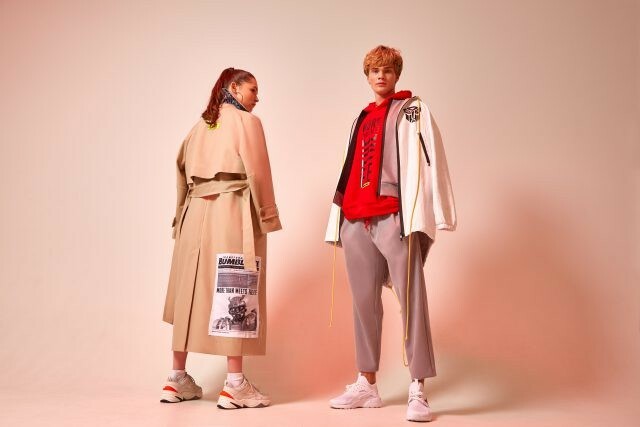 As reported by Peopletalk.ru, this Transformers x Chapurin fashion line is possibly the most eclectic mix we've seen for both men and women from a designer yet. 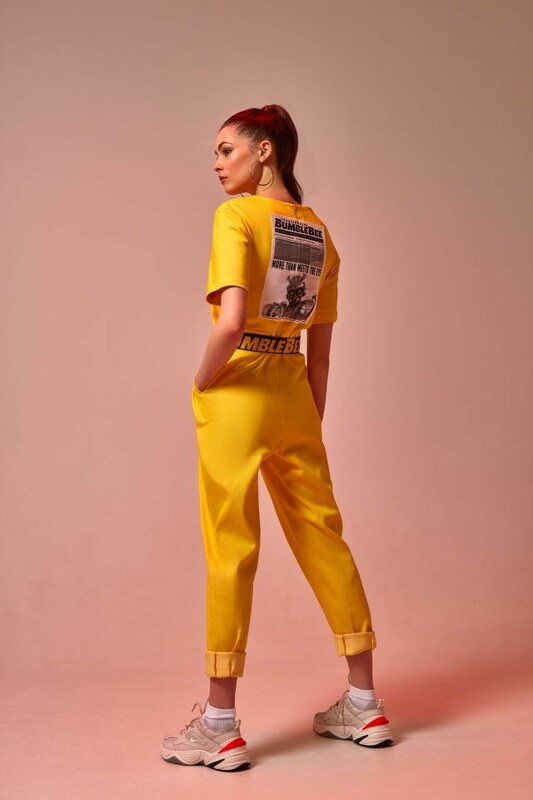 Oh, sure, they've got a variety of active wear like shorts, sweatpants, and hoodies, but how about bright yellow coveralls? 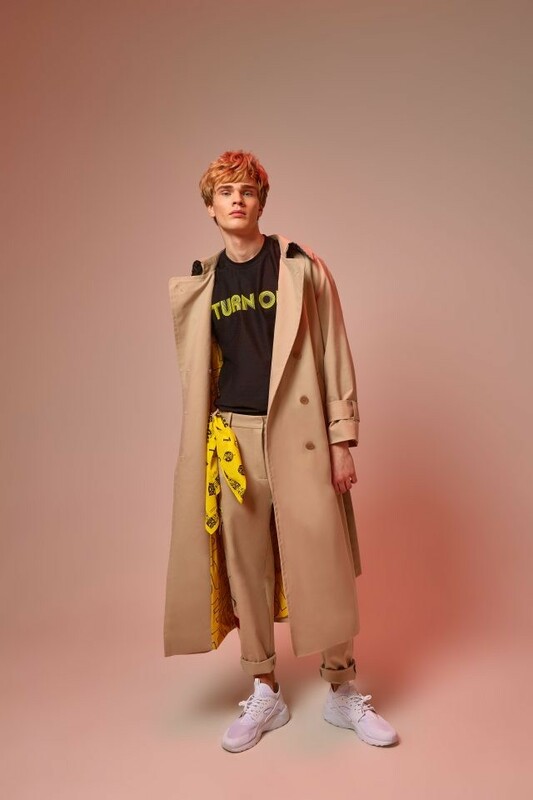 Or better yet, a trench coat? 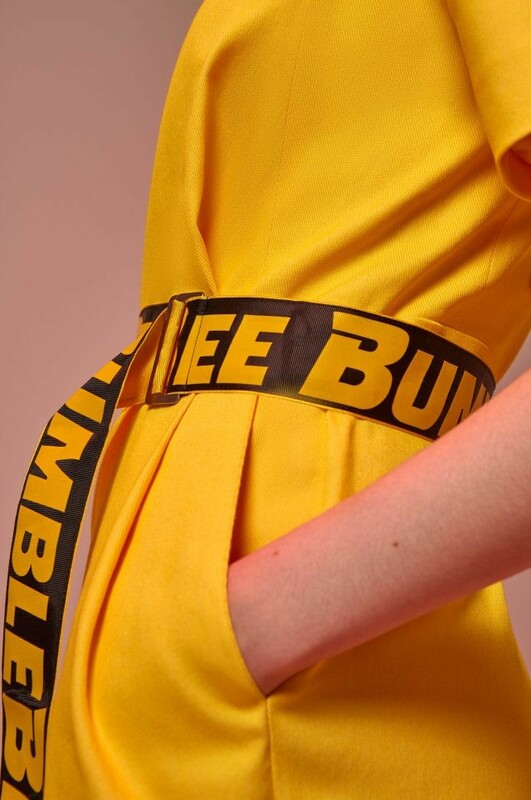 It's all here and apparently will be coming to Tsvetnoy department stores in time for the Russian release of the Bumblebee Movie. 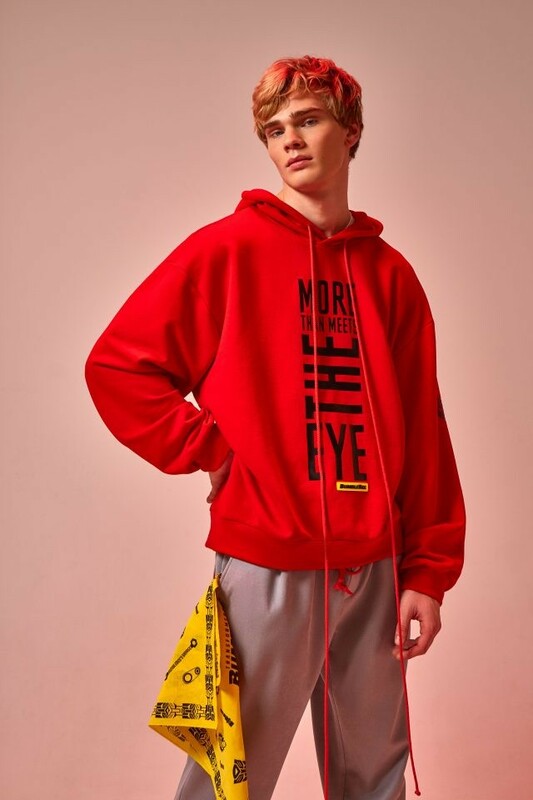 See anything you like? Hope these find their way into your country someday? Sound off in the Energon Pub! In Soviet Russia, buzz join you. Yes, but if you dont buy it, the model will shank you...& then buy you vodka. 3,894 pages were recently viewed by 536 unique visitors. 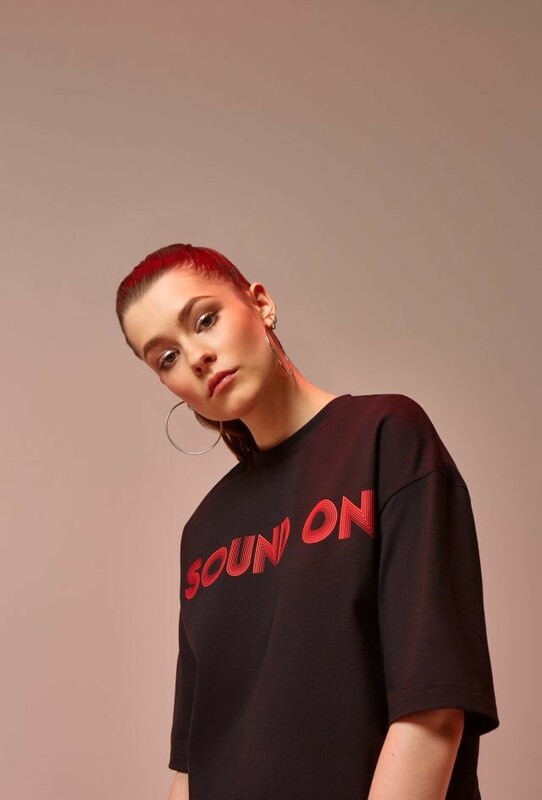 This page was viewed 1 times on Thursday, April 18th 2019 5:21am CDT. © 2019 Seibertron, Inc. DBA Seibertron.com. All Rights Reserved. Established June 2000. Seibertron.com is owned by Ryan Yzquierdo.